As many in the Snapchat community surely confirm, the social media app has always been a bit of a nightmare to use on Android, its slow and buggy performance causing much frustration and annoyance among users. But that should now be history after Snap Inc. announced on Monday, April 8 the launch of a revamped Snapchat app for Android. Having tried repeatedly to fix the Android version of the app through ongoing updates, Snapchat’s developer team eventually realized that the underlying issues could only be solved by completely rebuilding the software. While the user interface remains largely the same, the experience of using Snapchat should now be much more pleasing, beginning with the app opening 20% faster than the old version. Smoother swiping and quicker loading times of Snapchat’s various features should also be noticeable. Snap’s developer team told Android Police that one of the main challenges was to build the app so that it would run smoothly on the majority of Android devices, not just the latest, most advanced handsets. The large number of different Android devices made this a complex task, though they believe that more than a year’s work on the project has finally paid off. “Our ideal goal was that people shouldn’t really notice that the app is actually entirely changed up from underneath them, except everything should be way faster,” Snapchat executive Jacob Andreou said. 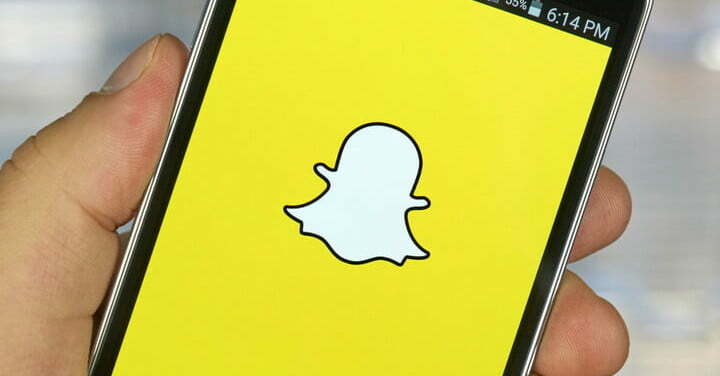 The team added that now the new version of Snapchat for Android has been released, it’s possible that upcoming features could land on Google’s mobile operating system before hitting iOS, reversing the usual routine. The Los Angeles-based company will be hoping the new Android app will attract new users as it seeks to bolster its business in 2019. Company figures released earlier this year revealed the app had 186 million daily users during the final three months of 2018, the exact same number as the previous quarter. That followed two consecutive quarters of decline in Snapchat’s user base, attributed largely to a widely panned redesign of the app’s user interface released by the company in early 2018, though its poor Android usability won’t have helped, either. Sales of $390 million at the end of 2018 marked a 36% increase on the final quarter in 2017, while Snap’s net loss narrowed to $192 million. The launch of the rebuilt Android app comes several days after Snap announced a number of partnerships with other companies to incorporate Snapchat features such as Stories into other apps, as well as new camera functions and its first original game, called Bitmoji Party.